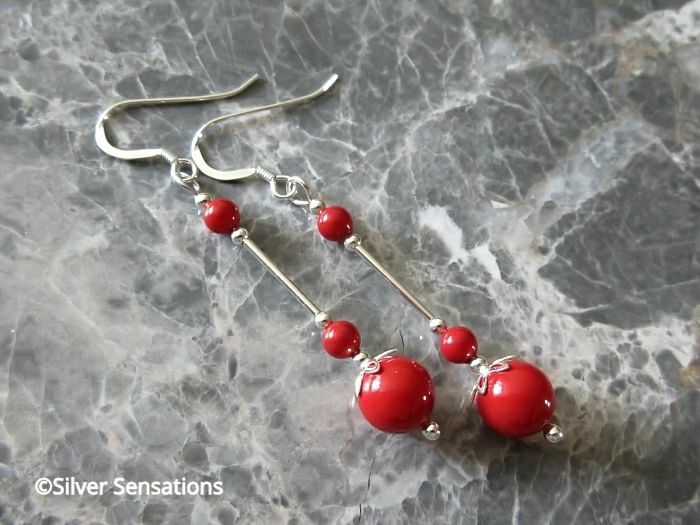 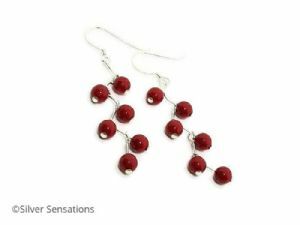 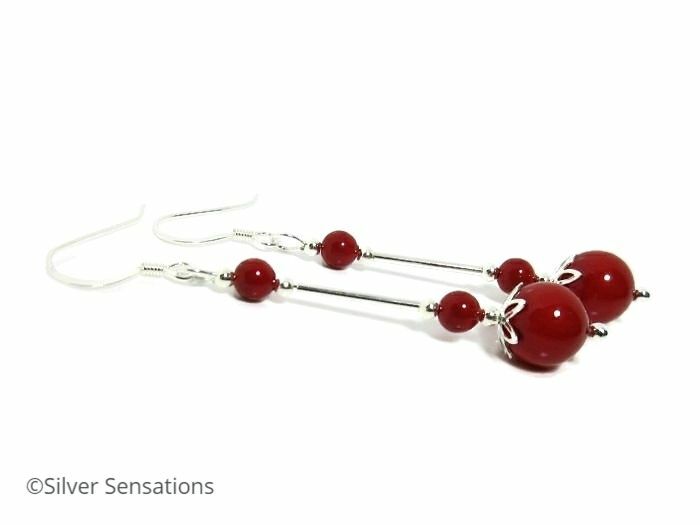 Elegant ladies red wedding earrings which have been handmade with glossy Swarovski Pearls from the Swarovski Elements range. 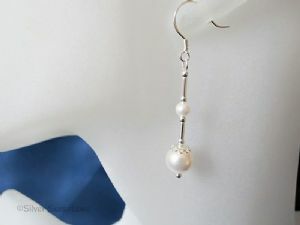 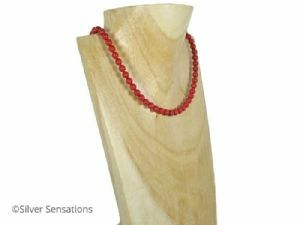 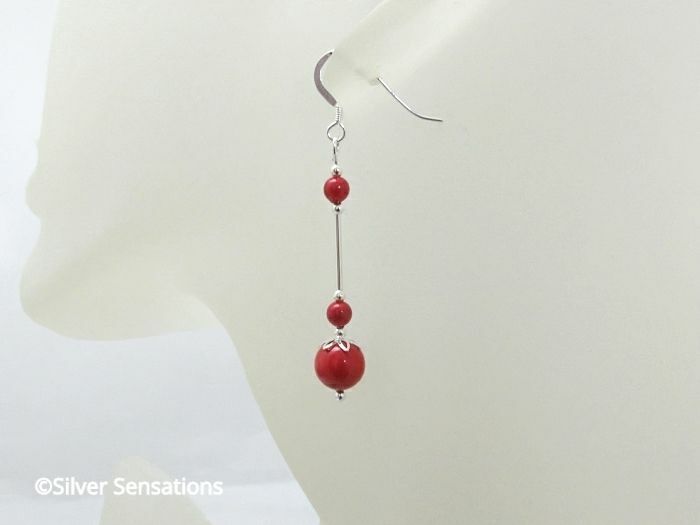 There is an 8mm red Swarovski Pearl at the bottom of each earring with 2 x 4mm red Swarovski Pearls above. 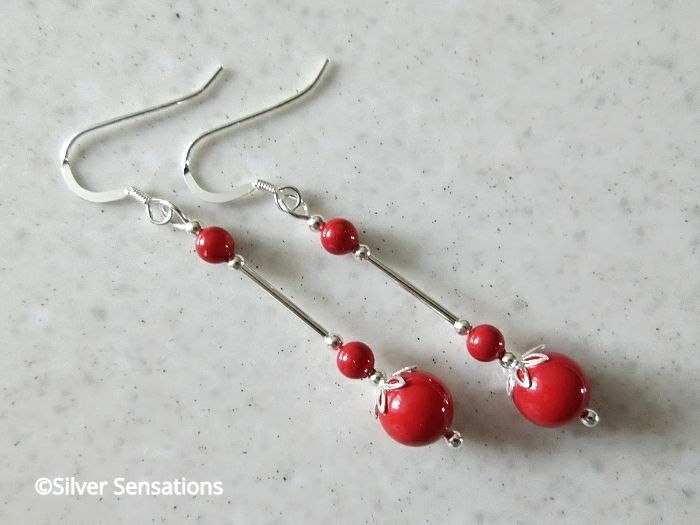 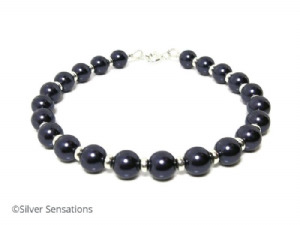 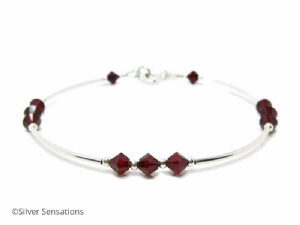 Completing this design are small seamless Sterling Silver beads, tubes & pretty flower bead caps. 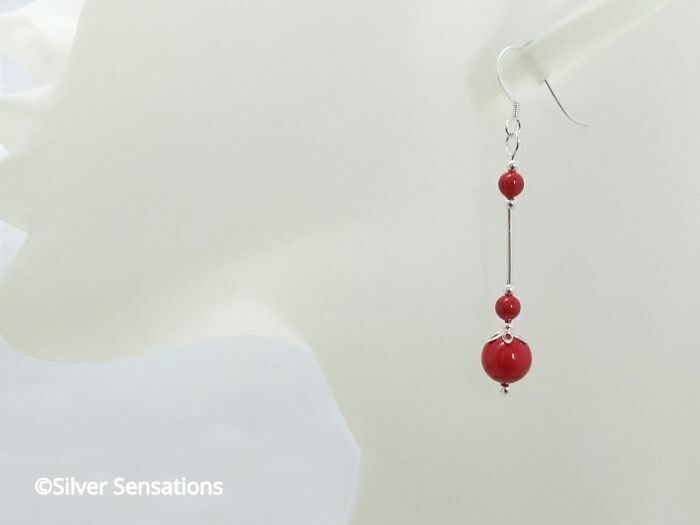 These elegant earrings are 47mm in length, from the top of the coil on the ear wires, and hang from Sterling Silver ball dot headpins & high quality ear wires.